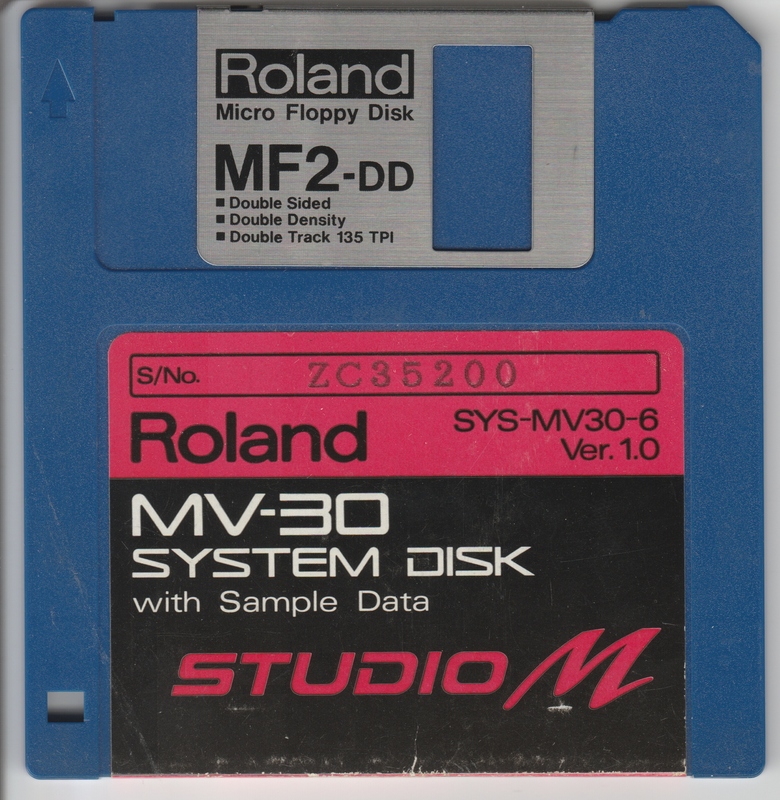 I decided to open up this small support site for the Roland MV30 because I found that there was little information on it on the web. 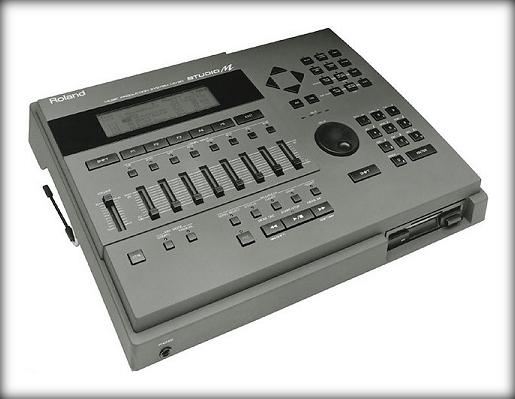 The Roland MV-30 is a portable music production system and has built-in midi sequencing capabilities (one of the earliest ones). This unit came with a built-in sound bank which includes some of the most famous sounds from Roland's 80's era synthesizers, and some percussion sounds, including some from the well known and respected TR-808 and TR-909 drum machines. For expandability, it has a 720 K floppy disk drive. It also has two SN-U110 ROM card slots which can be used to expand the available sounds of the system. 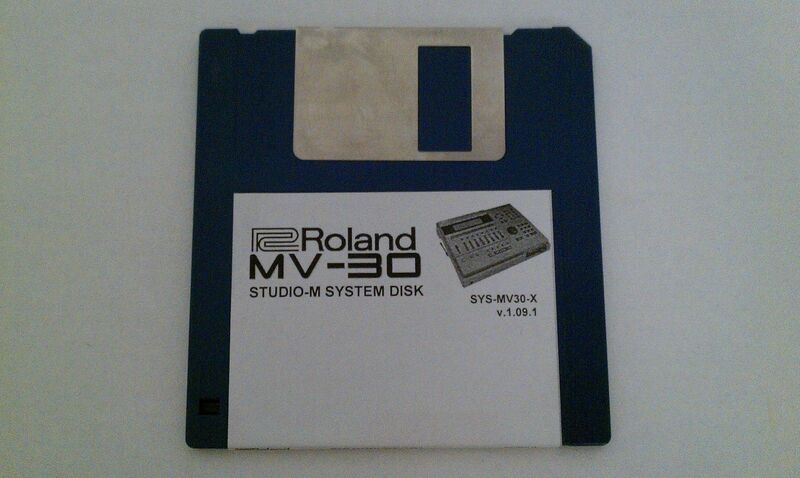 When the Roland MV30 first came out, it sold for around $2000. Nowadays units can be found for less than $100. The reason for this is because they they're usually found non-functioning. 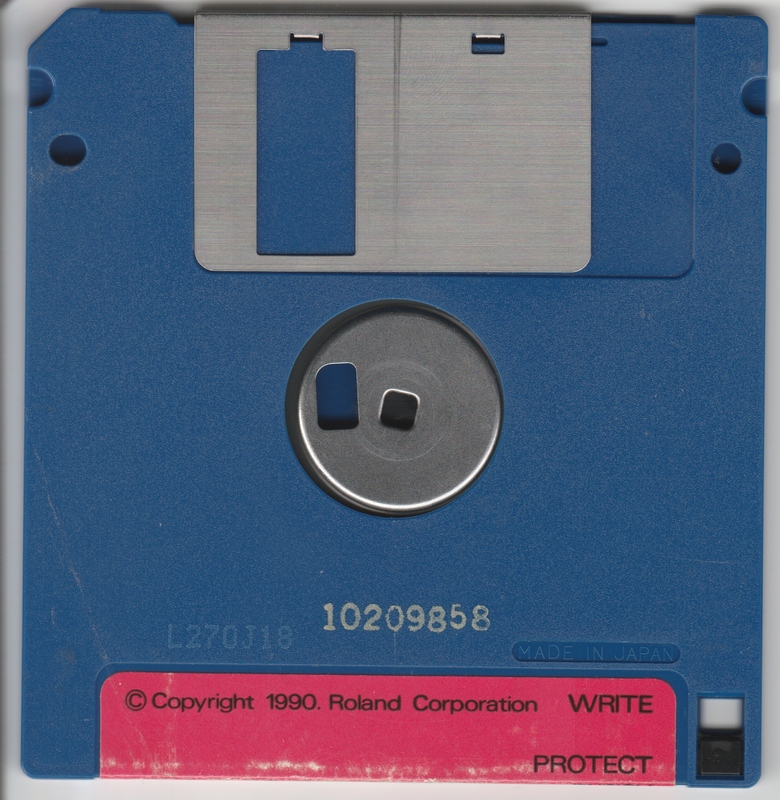 They also require a system diskette to boot up, and they can be hard to come by, so most non-functioning units are actually just working units with misplaced boot disks. This support page is work in progress, and any corrections and updates are welcome. I'll keep updating and expanding this page from time to time. I've hosted the boot images of this system on this site so you can download and copy them yourself to a blank double density (DD-720K) disk. 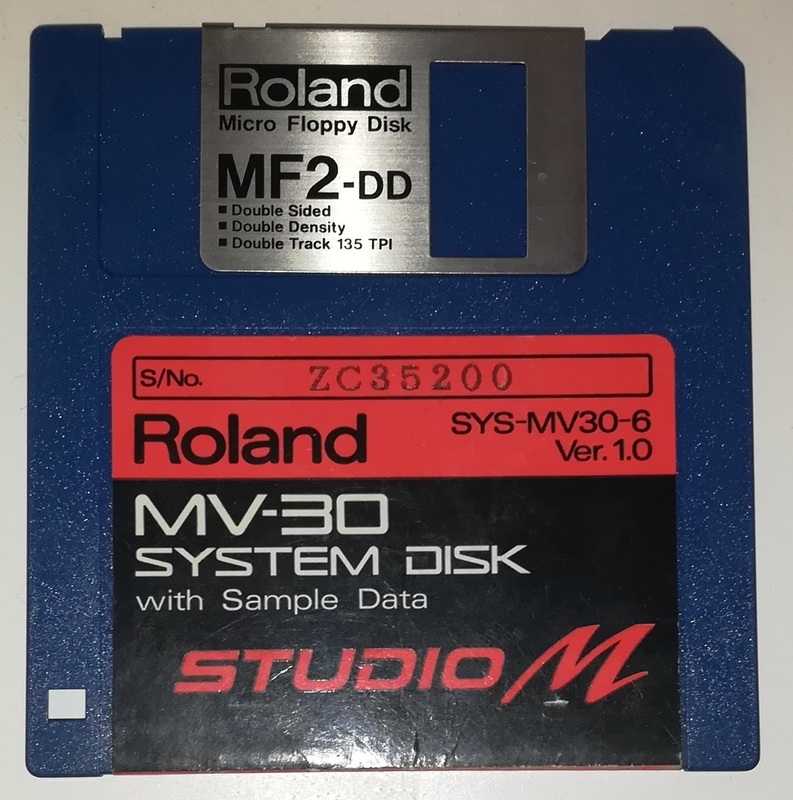 You will need a floppy disk drive which supports 720K floppy disks, and a program to write floppy images onto a floppy disk, for example WinImage or HFV Explorer. You may have to run the programs as Administrator. I welcome any corrections, additions, files or any other handy resources you'd like to share. And if you'd like to become a contributor, I would be happy to hear from you! Resources on this site are provided as-is. I cannot guarantee that the information is accurate and/or that the software will work as expected in your case. As such, I cannot be held responsible or liable for any damage(s) caused either directly or indirectly by using any of the resources on this site, or by relying on other information I have provided. That said, I've made every effort to make sure the information and resources provided on this site are as accurate as possible.